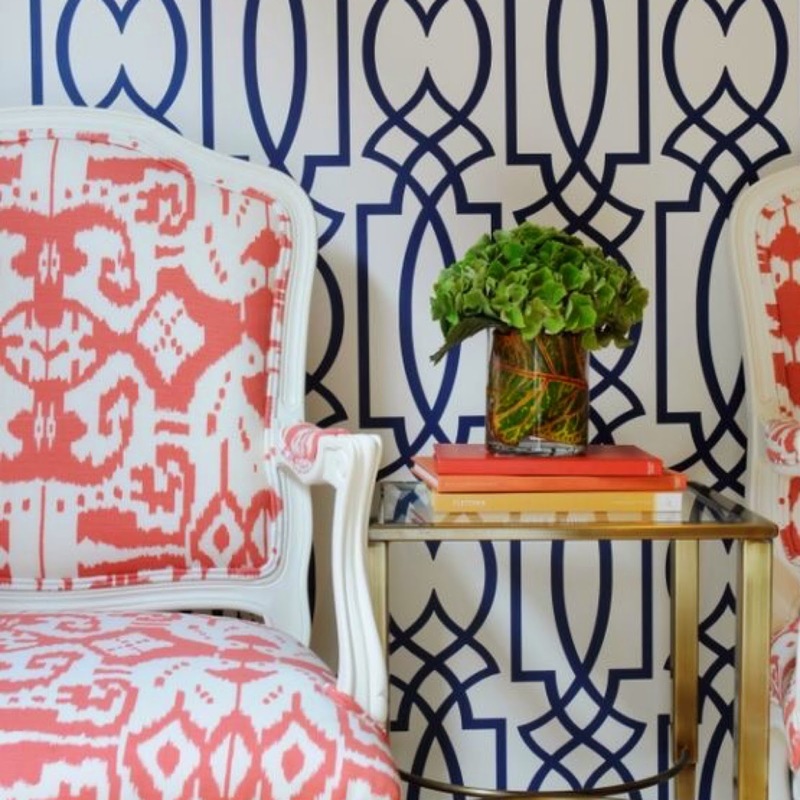 I don't know what has come over me lately, but I've been seriously obsessing over wallpaper and stencils. Like, pinning everything I see despite having no plans to wallpaper or stencil anything! 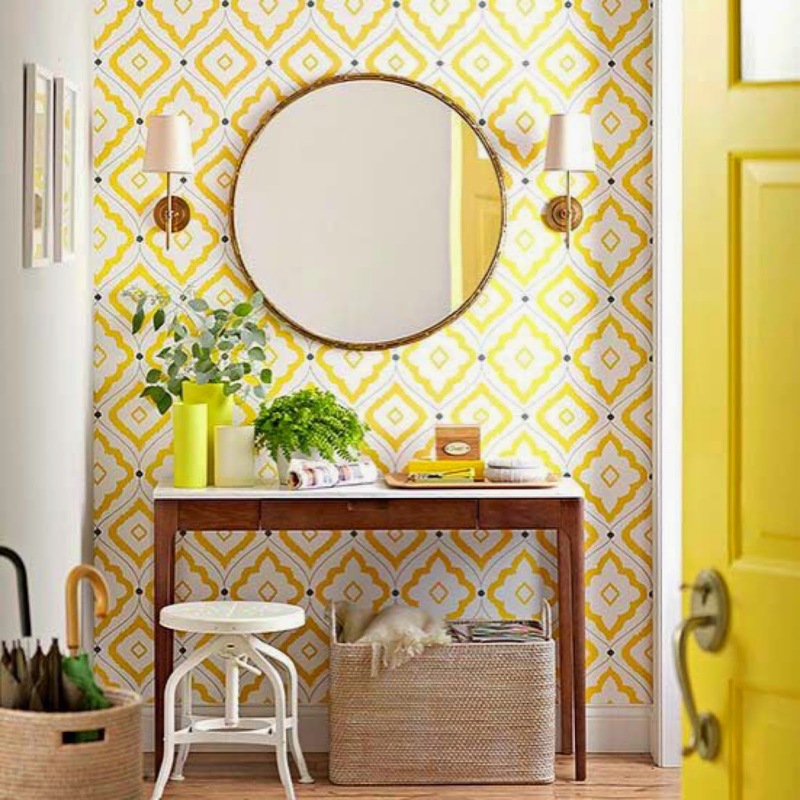 Here are some prints that I am absolutely loving for an accent wall (or just as a fun pop of color behind a bookshelf or as drawer liners)! 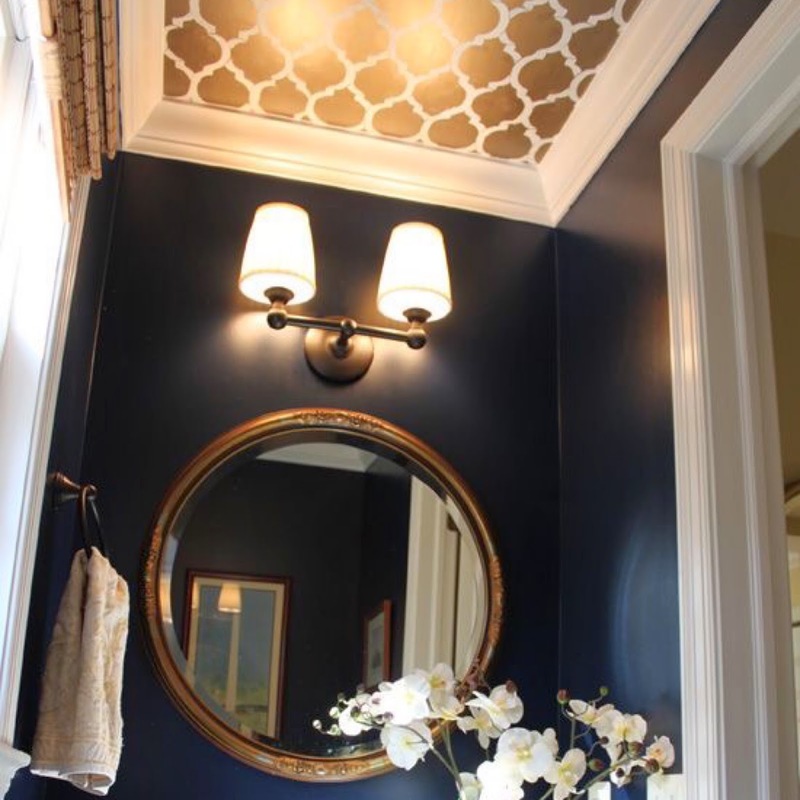 I am obsessed with that navy blue powder room with the gold ceiling! I've had that pinned for a while. So so gorgeous! 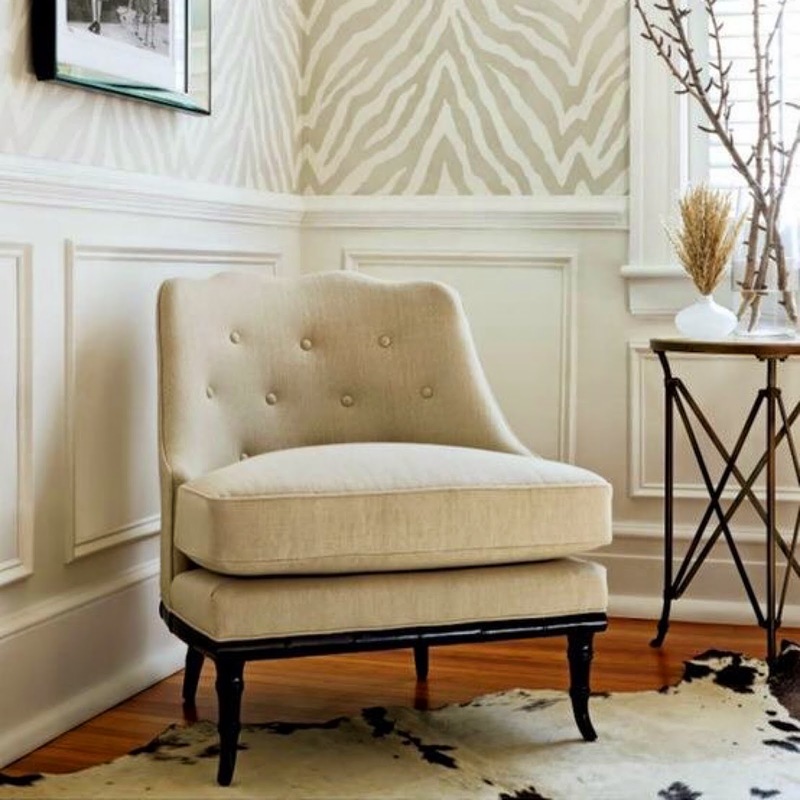 I also really love stenciling that uses the same color but in gloss paint on a matte or eggshell wall. 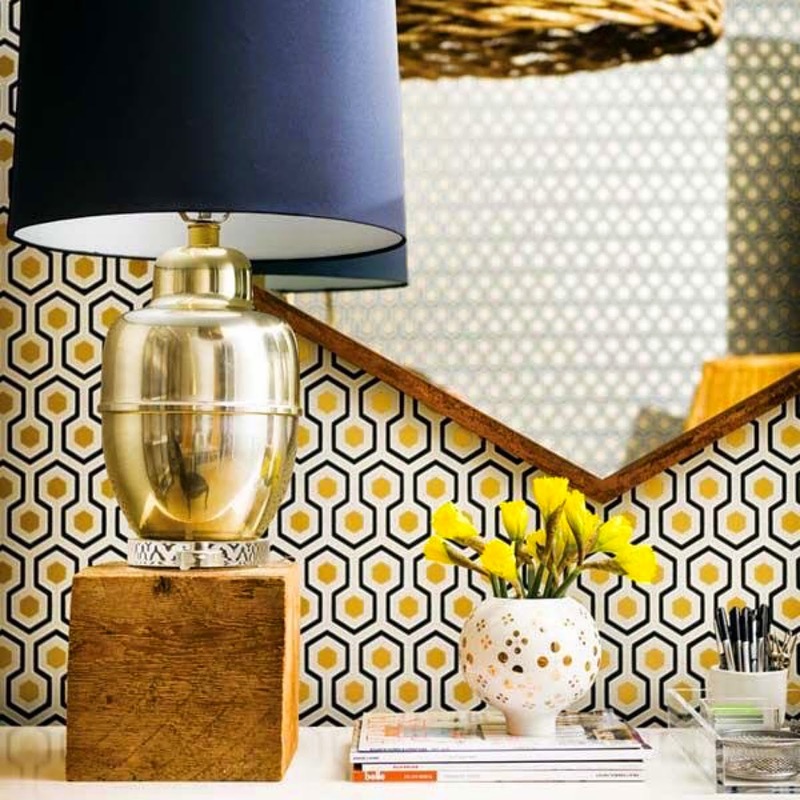 I love a wallpaper accent, particularly that gold ceiling! If only my apartment allowed me to even paint the walls a different color, haha! They're so beautiful, love how you can add it to the sides of a drawer to dress up a piece of furniture. Those are some fantastic designs! 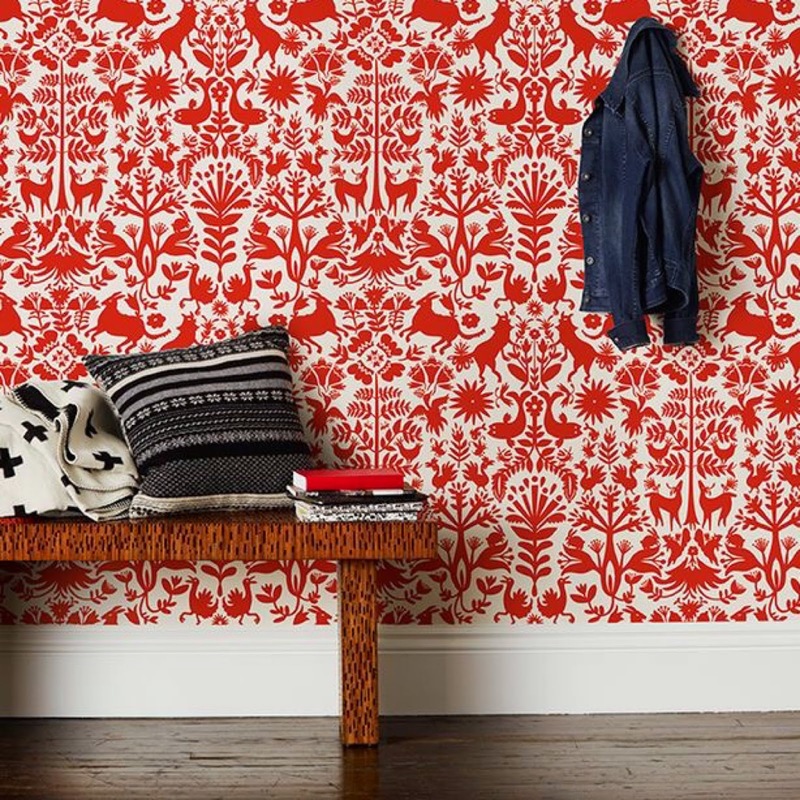 Isn't it crazy how wallpaper is having such a big come back? I think it is a great design tool for accent and pop. I love so many of those wallpapers! Funny how they're coming back in style - I definitely want to do some wallpapering when we get a house! 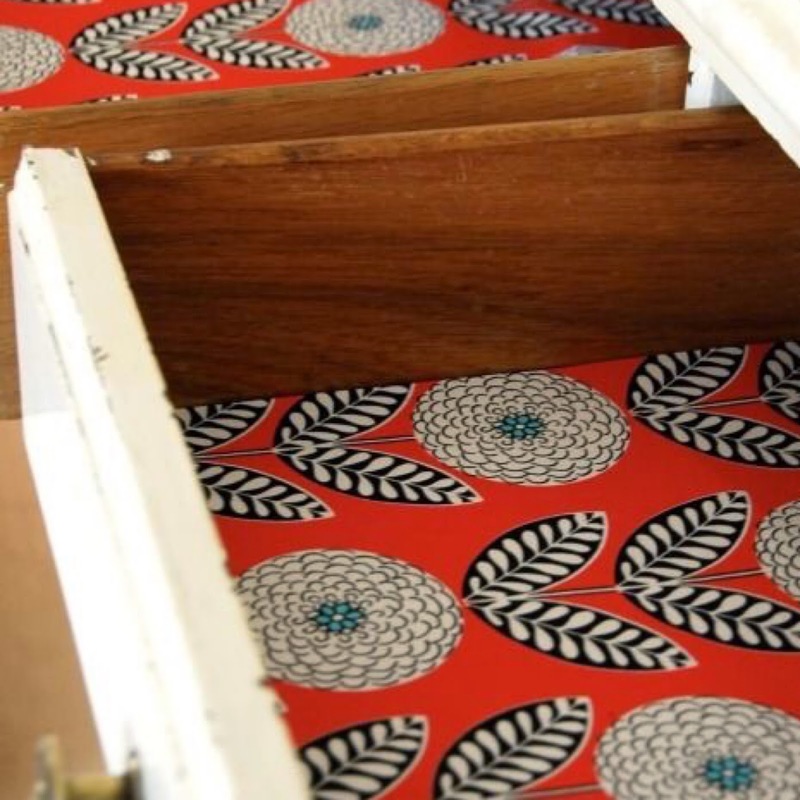 I love the idea of wallpaper on the inside of dressers/drawers/etc! SO stinking cute, seriously!! I love the Dalmatian print! Wallpaper is having it's day lately. I especially like the second one, I saw something very similar on an episode of Property Brothers. The cool thing is now you can get renter's wallpaper which is so much easier to remove if you change your mind! I can't even pick a favorite because I love them all!! That yellow one is everything! I basically want that entire space in my house. I also love the idea of using it to line the back of a bookshelf! I LOVE all of these, and couldn't even pick a favorite. I'm not sure I'd ever get around to doing one of these jobs, but it'd sure be pretty to look at. Oooh the CEILING! LOVE! And I'm such a sucker for anything animal print. Holy moly these are really adorable! Who knew wallpaper could be so great, I love the one that reminds me of 101 dalmatians and the floral on the sides of the draws, how perfect is that?! 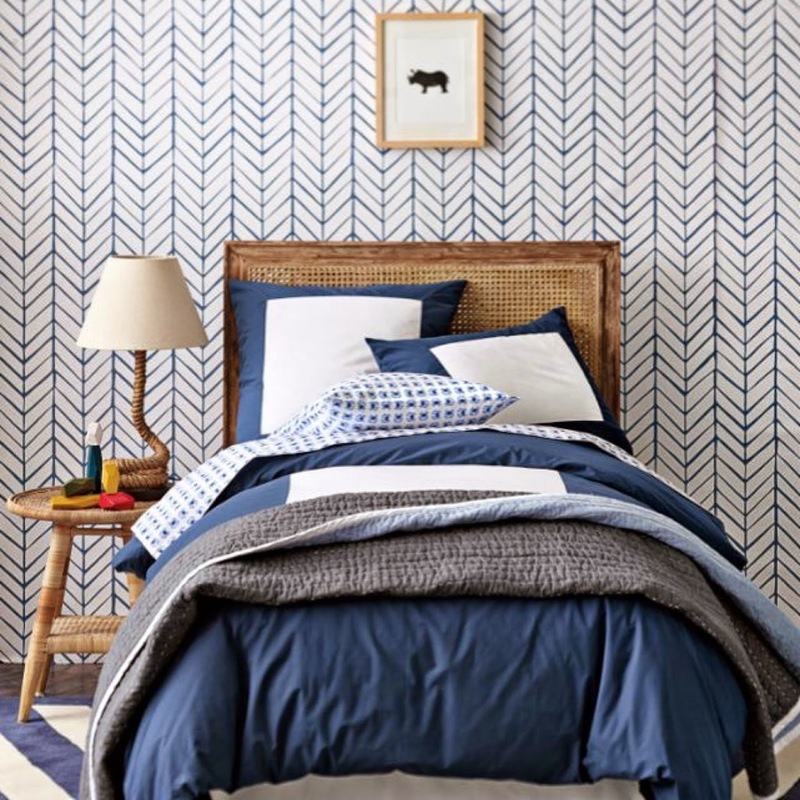 Isn't it crazy how wallpaper is coming back?? I love the fun patterned ones- perfect for a half bath! 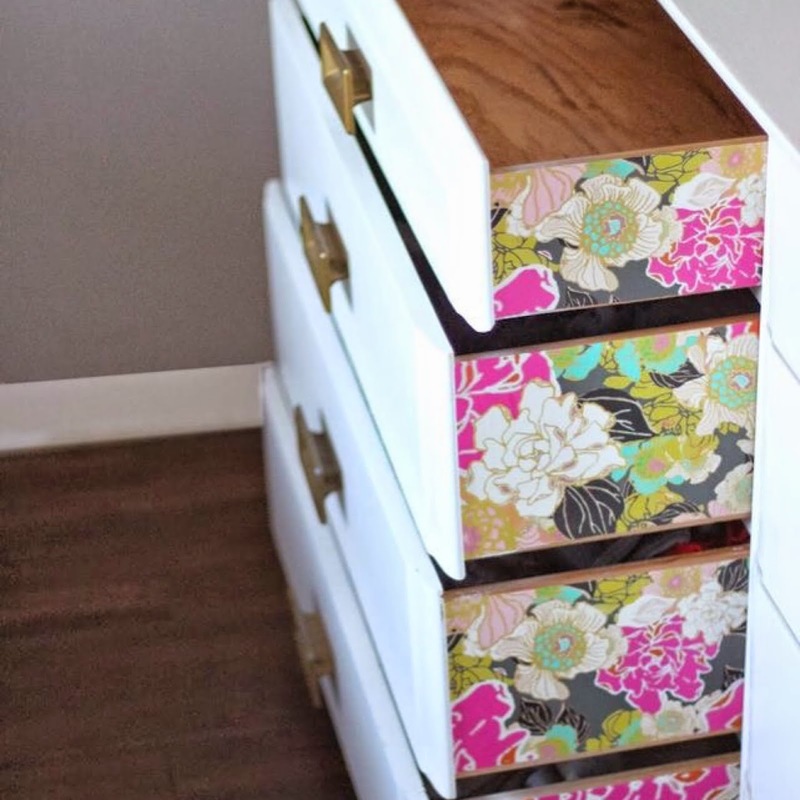 Love the dresser with the floral print! I've been obsessing over accents/wall paper too. My accent color is emerald so I'm trying to decide if I'm bold enough to go all in or not! those drawers! my favorite! between you and Katie, I may change my mind about wall paper. Oh yeah, I am obsessed too. Cannot wait to move into a bigger place so I can add some color to our lives. :) Prints are awesome. 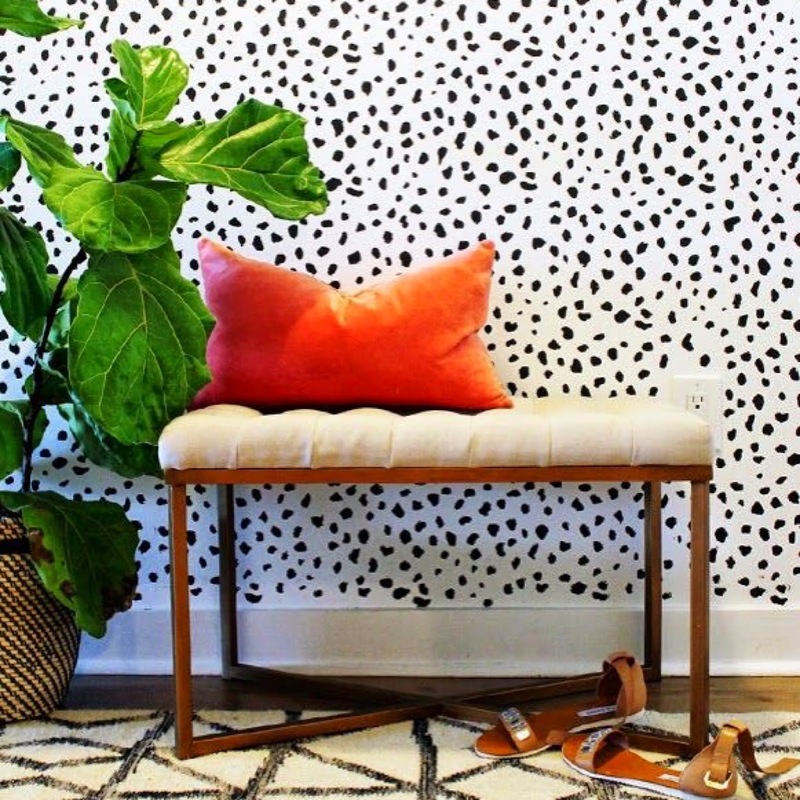 Can you believe that wallpaper is back?! Only difference is that the prints are cute now. Of course, in 20 years, they'll probably being saying this was hideous! Haha! Right?! I have a whole board about wallpaper--and no actual walls to paper (yet). I'm so glad it's en vogue again.